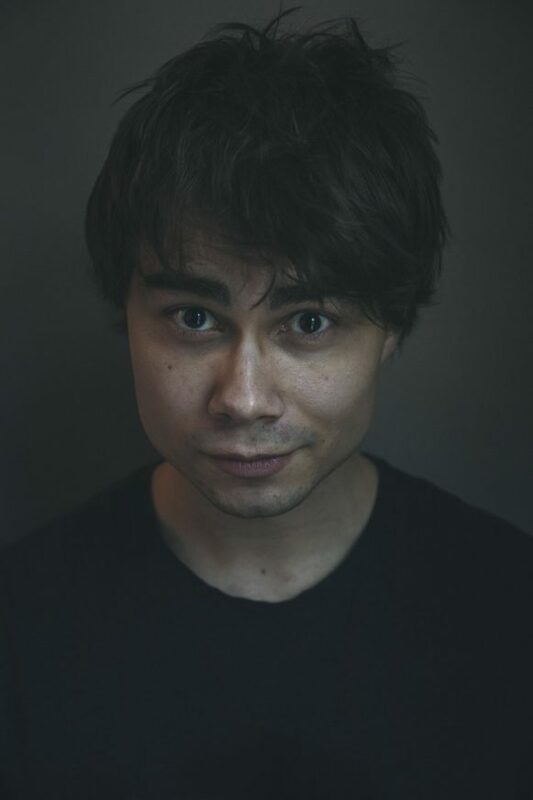 Alexander Rybak came, saw and conquered on behalf of Norway in Eurovision in spring 2009 with his song Fairytale and got more votes than had ever been known in the contest. He has since been popular around the world. 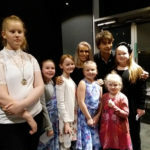 Alexander has written and performed songs, he has won awards, written a children’s book about bullying and this weekend he plays concerts with Greta Salome in Akureyri and Reykjavík. Grey March day. Black Dressed. Black-headed. Dark-eyed. Black violin box. 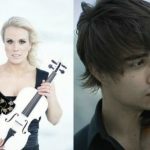 However, there is a light over Alexander Rybak. Candid. Lovable. Does even seem a little shy. He drinks black coffee in a white cup. We talk about the music. Fiddle. Concert with Greta Salome. We also talk about his childhood. 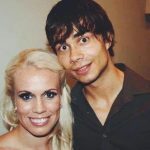 Alexander Rybak was born in Minsk in Belarus on May 13 in 1986, 10 days after the Eurovision Song Contest was held in Bergen, Norway, Hanne Krogh and Elisabeth Andreassen in Bobbysocks had won the year before with the song La det swinge. Sandra Kim from Belgium won with the song J’aime la vie in Bergen. Alexanders family moved to Norway when he was about six years. He rehearsed under heavy discipline many hours a day and began at a young age to perform at concerts. “I played such a concert with chamber orchestra in Oslo when I was nine. Some called him “a little Mozart”. “It is not my words” said Alexander lowly. “People heard that I had talent. They heard a special sound that began to develop. Alexander began studying at the music Barratt Due Institute musikk when he was 10 where he met rather classical masters, but he also thought outside the box and eventually began playing jazz, popular songs and pop music. Alexander was young, when he started composing and he played around the world with various orchestras. “You know that some teenagers become rebellious. Mom and Dad were so lucky because I was always playing classical music and my rebellion was, that I wanted to play Pop Music Hits. I felt like a bad guy, but mom and dad were, however, happy with it. Alexander first took part in the Idol competition in Norway in 17 years old and did not win. He managed it, however, a year later. “I hope therefore to encourage others,” he says, mean that people should not give up, after all, will end no unbeaten bishop. “People said I did not have a typical voice for Pop Music Hits. I took notice of that. I then took part in the talent competition “Kjempesjansen” in 2006 and won the competition. The approach was second in the race and then singing jazz Alexander won with his song “Foolin” layer, fool, and played the violin. The adventure had begun in earnest. Alexander subsequently took part in the theater-play of Fiddler on the Roof. “This role was tailor stitched for me,” he says, and he got the Hedda Award for his role. At this time, he walked in the footsteps of colleagues in the past. He travelled the valleys and islands of Norway and played his violin in exchange for accommodation and food. It was on one of these trips he got the idea for the song Fairytale. He was involved in qualification for Eurovision in Norway, 23 years old, where he performed the song, came, saw and conquered and he came on behalf of Norway in Moscow in the spring of 2009. He simply was a hit with audiences and received more votes than ever known before in the contest. Much has changed since May 2009. Alexander has written, sung and played like there was no tomorrow and has given concerts and TV shows around the world, has released CDs with his songs, singing and violin as well as he has starred in film and voice-dubbed in the Norwegian version of an animated film from Dreamworks. He is sincere. “I’m afraid I will never write a song that will benefit as much popularity as Fairytale. My fans know, however, that I do so many other things. Most people who have won the Eurovision have been a revelation with the desired track, and then they continue with other tasks that may not be as large, but even more important. I think, for example, a program for children in music education in various countries. The schedule of Alexander is tight. Concerts in Iceland in the near future, concerts in Lithuania in late March. 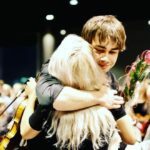 He appears in a play, Soot-Spelet, in Norway in the summer as well and performs in Estonia in July at a Midsummer-Festival, He works with a Youth Orchestra in Norway in July and then, there are concerts in the Czech Republic and Spain in the autumn. 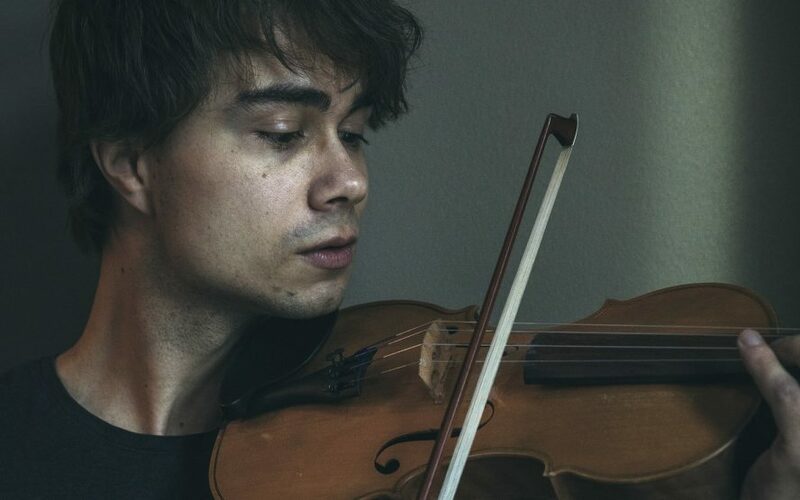 Undefeated giant Alexander Rybak is more than a composer, violinist and singer. He is also a writer and his book about the troll without a tail, “Trolle and the magic Fiddle”, came out in 2015. The Troll boy is bullied because of the missing tail. He finds one day an enchanted violin which gives him great power and his life changes. The book is really about the importance of friendship and trust and how to overcome fear and prejudice. Alexander wrote 13 songs associated with the book and CD-ROM included with the book and an audio book. Alexander gives me his copy of the book intended for children aged five to 10 years. A total of 119 pages and adventurous drawings. Time passes and in a short while, Alexander needs to be arrived at Harpa. “Would you drive me?” He asks. We return into a grey March day; The Eurovision-winner and violinist Alexander Rybak with his black violin-case. Alexander performs in concert with Greta Salome in the coming days along with the rock band, string orchestra and dancers. 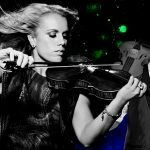 They bring major hits Greta Salome and Alexander offers pop, rock, classical and everything in between; eg the Eurovision song.